The 2 minute 29 second footage is believed to be shot by a resident of the condo. Some of the men also chased after and manhandled another man believed to be the victim's counterpart, but he managed to flee from the compound after they got a few hits in. 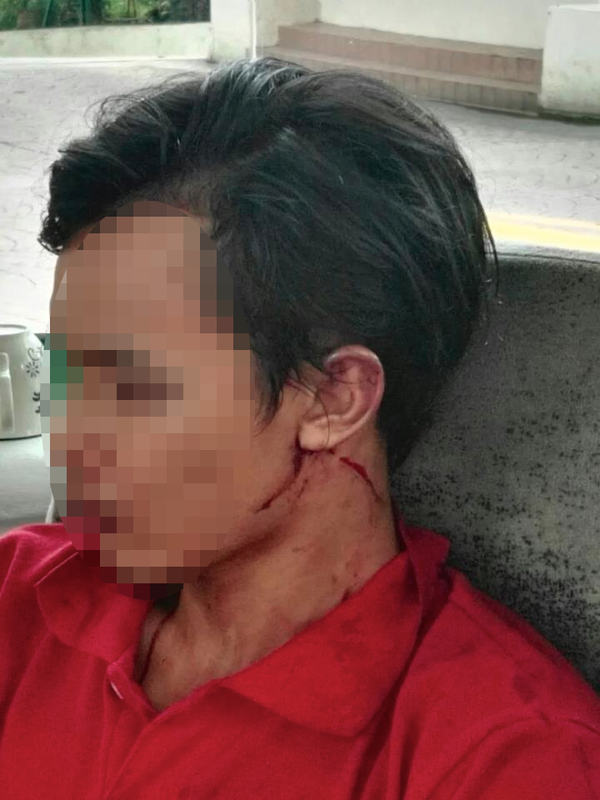 According to a security guard who was on the scene, the victim, 25-year-old lorry driver Nasrul Faiz Zulfahmi, was delivering bread and juice supplies to a mini market at the condominium. 20 minutes later, a Mercedes Benz carrying four men parked behind the lorry at the drop-off zone. 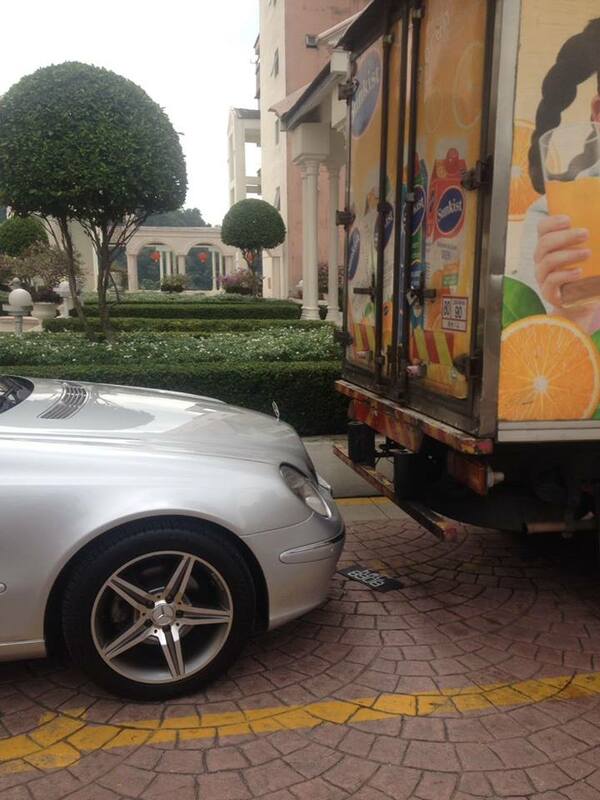 The brawl ensued after Nasrul accidentally backed into the Mercedes Benz when he was about the leave. 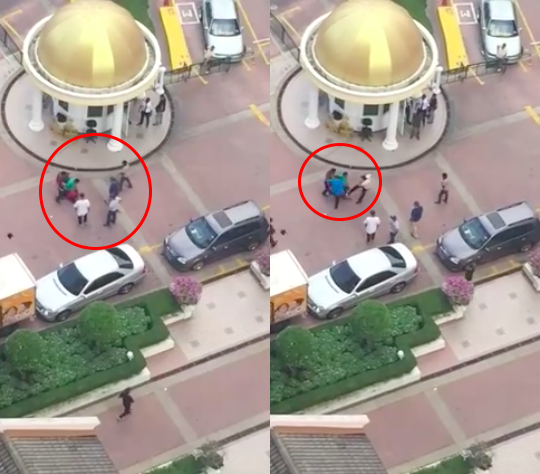 Four men who attacked him are believed to be the driver and bodyguards of the Datuk in question, while several others joined in the attack for reasons that are still unknown. 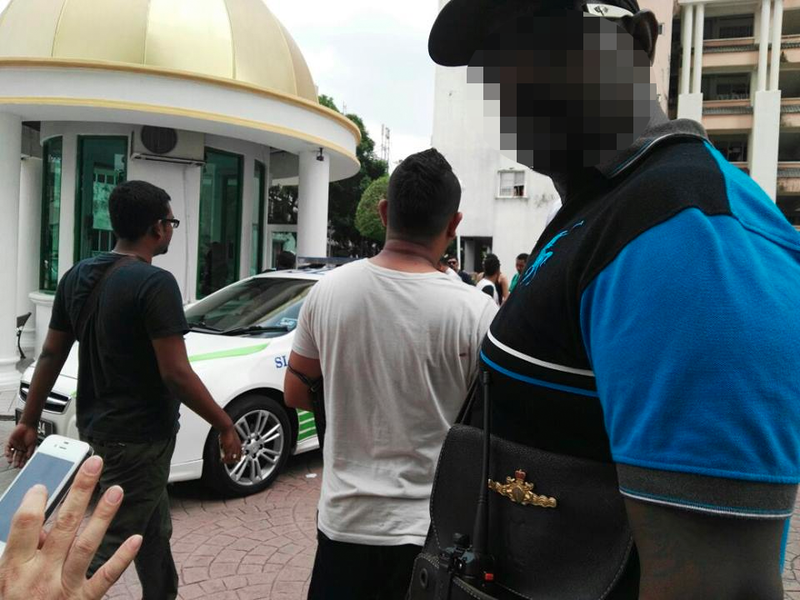 Mohd Zaid said that the police did receive a report lodged by the condo's security guard. "Initially, both parties had decided to settle the matter between themselves amicably, but since the security guard lodged a police report, we will initiate an investigation under Section 147 of the Penal Code for rioting," he said. "No arrest has been made till now. and we will screen the closed-circuit television camera (CCTV) footage to identify the assailants," he added.